Already leading the way through innovative research, development and clean room capabilities in medical contract manufacturing, Genesis Plastics Welding will have the opportunity to hear from several industry key note speakers with extensive experience driving development and process strategy excellence. 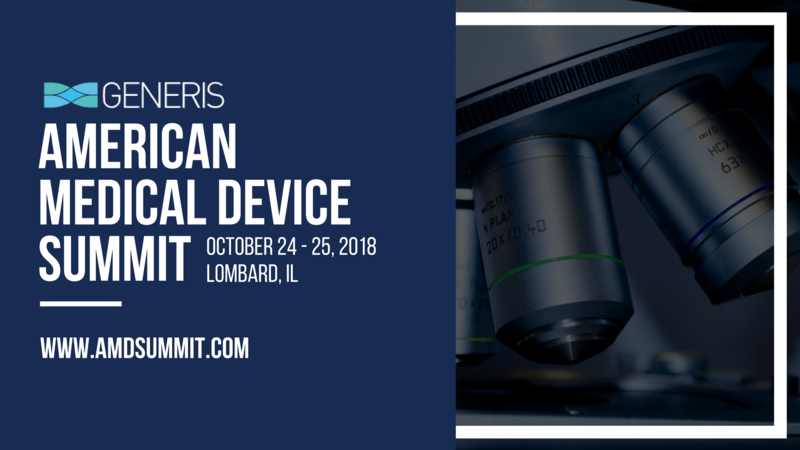 This networking opportunity puts Genesis Plastics Welding central to cutting edge medical device conversations around streamlining processes, optimizing development and design, decreasing risk and improving speed to market. 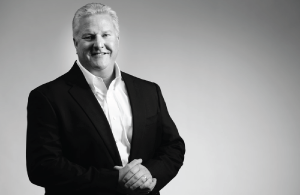 The summit facilitates the opportunity to meet face-to-face with industry OEMs and Genesis Plastics Welding President and CEO Tom Ryder is looking forward to the chance to network with key industry decision makers. This interaction deepens the learning about the hurdles current OEMs are facing and provides a platform to showcase how Genesis Plastics Welding can be of value to them in helping tackle those hurdles. “We meet the OEM wherever they are in their product life cycle, from early concept, prototyping and validation, and from short runs to high volume. 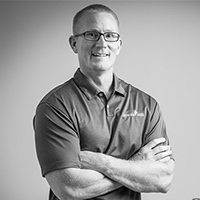 Our ability to help facilitate a product transition offshore if volumes skyrocket—or to assist on the second generation of a product without interrupting current production—is a strength and value Genesis Plastics Welding will be talking about during these networking opportunities,” said Ryder. A recent Genesis Plastics Welding project is a prime example of saving a large OEM on their bottom line. By outsourcing to Genesis Plastics Welding, due to lower overall overhead, they received focused quality without the larger overhead having to be rolled in per unit. “Farming out mid-volume devices just makes good sense in being able to remain competitive in the marketplace,” Ryder shared. 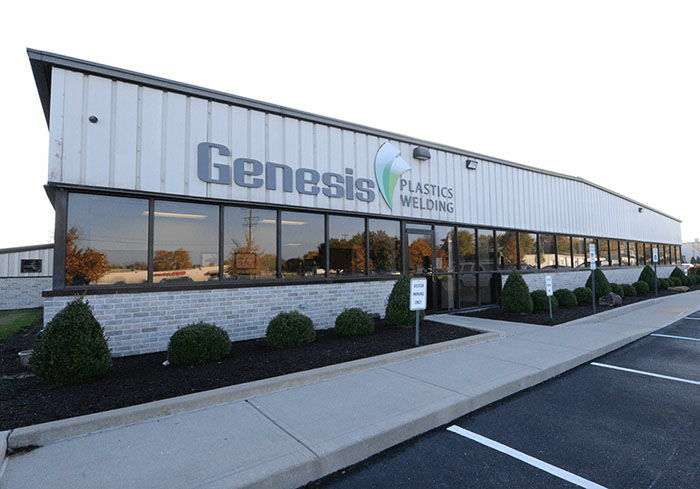 The medical device industry is one of the fastest moving manufacturing landscapes and staying up-to-speed on the latest trends and innovations is a priority for Genesis Plastics Welding in continuing to provide expert knowledge and service to its customers. Genesis Plastics Welding Business Development Executive Michael Finley will also have the opportunity to interact with large OEMs at the summit and expects that Genesis Plastics Welding will be able to offer some valuable solutions to OEMs searching for answers to quality issues or those experiencing problems in keeping up with demand. “Genesis Plastics Welding has always been an innovative trouble-shooter and we will be able to share, as we network at the summit, that we can help clear and bridge the inefficiencies-gap and assist with design for manufacturability from inception to grave. With the recent launch of our new division MedTech Launch, we are strategically poised to assist medical device clients in navigating the product launch process,” said Finley. By maintaining our leadership role in the medical device manufacturing industry, we can continue to be a valued partner for you for your next project from concept to marketplace. Have a question you’d like us to investigate while we are networking with industry partners? Let us know if you have a project you’d like to share with us for innovative brainstorming! 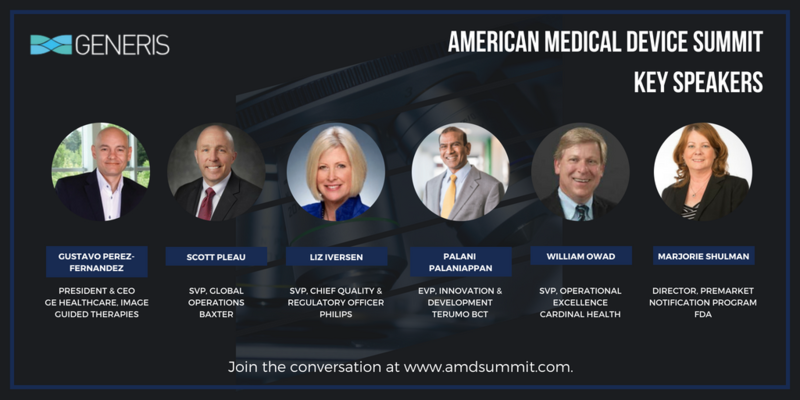 Traditionally, the medical device industry has focused on product innovation and the basic delivery of a safe and tested product. But with the ever-evolving changes in healthcare, new opportunities to create value-driven technology and services is emerging as a priority. We hope to merge our own valued expertise with new and trending information from the summit’s thought leadership in October to enhance our ability to provide the best technology and advice as you begin your next innovative project.